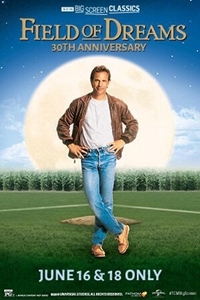 Fathom Events, TCM and Universal Pictures present Field of Dreams, returning to cinemas for a special 30th anniversary event! "If you build it, he will come." With these words farmer Ray Kinsella is inspired to turn his ordinary cornfield into a place where dreams can.